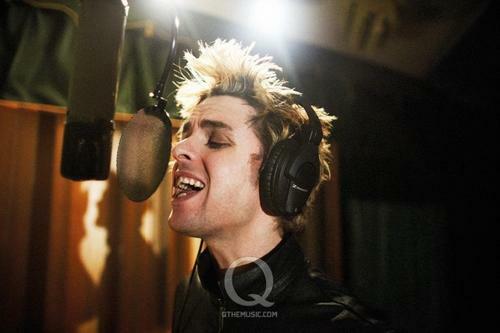 GREEN DAY BEHIND THE SCENES: Q Magazine Photoshoot 2009. GREEN DAY BEHIND THE SCENES: Q Magazine Photoshoot 2009. HD Wallpaper and background images in the Green Day club tagged: green day billie joe armstrong tre cool mike dirnt q magazine photoshoot 2009 behind the scenes photo. This Green Day photo might contain cleaver, meat cleaver, and chopper.